The Martha Stewart Living 3 in. 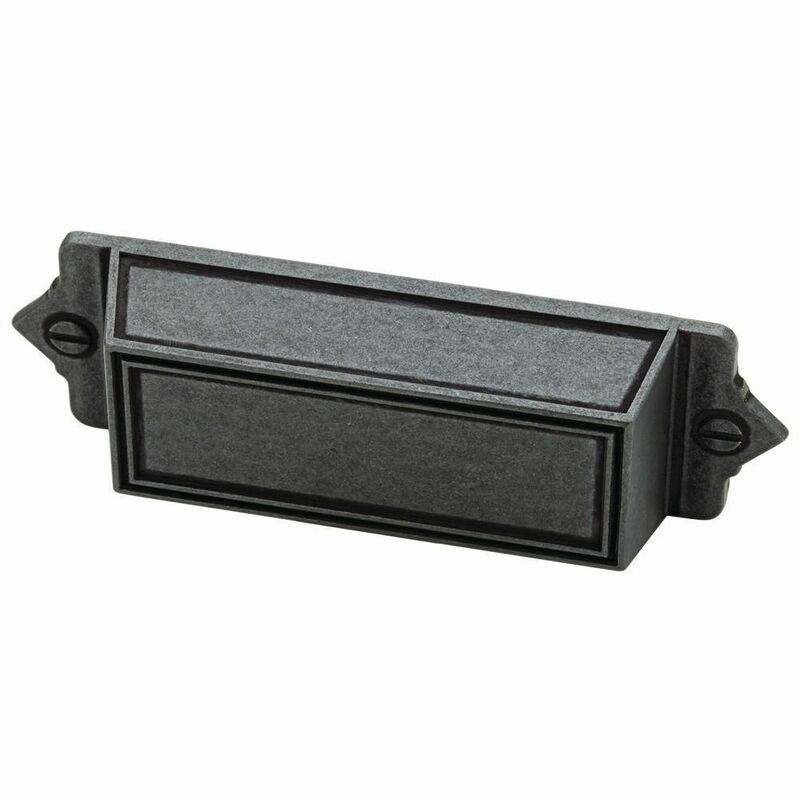 Soft-Iron Bracket Bin Pull features a traditional American design for aesthetic appeal. The pull is made with metal to help ensure strength and comes in a vintage soft iron finish. Comes with two 8-32 x 1 in. fasteners. Give your room a modern update with the Soft Industrial Pull from Liberty. The sleek lines are inspired by industrial décor trends. Ideal for cabinetry or furniture makeovers. 3 in. Bracket Bin Pull The Martha Stewart Living 3 in. Soft-Iron Bracket Bin Pull features a traditional American design for aesthetic appeal. The pull is made with metal to help ensure strength and comes in a vintage soft iron finish. Comes with two 8-32 x 1 in. fasteners. 3 in. Bracket Bin Pull is rated 4.8 out of 5 by 13. Rated 5 out of 5 by Satisfied from The handle was easy to install and looks great. ... The handle was easy to install and looks great. Rated 4 out of 5 by luanne from The pulls are lovely, good quality and good price, and meet my desires for appearance. My only d... The pulls are lovely, good quality and good price, and meet my desires for appearance. My only disappointment is that they are not available in smaller size - great for really large drawers but a bit of overkill for smaller drawers. Overall, I'm very happy with them so far. Rated 5 out of 5 by Theshopper35 from Kitcen Remodel They look great with our white cabinets and gray countertops!